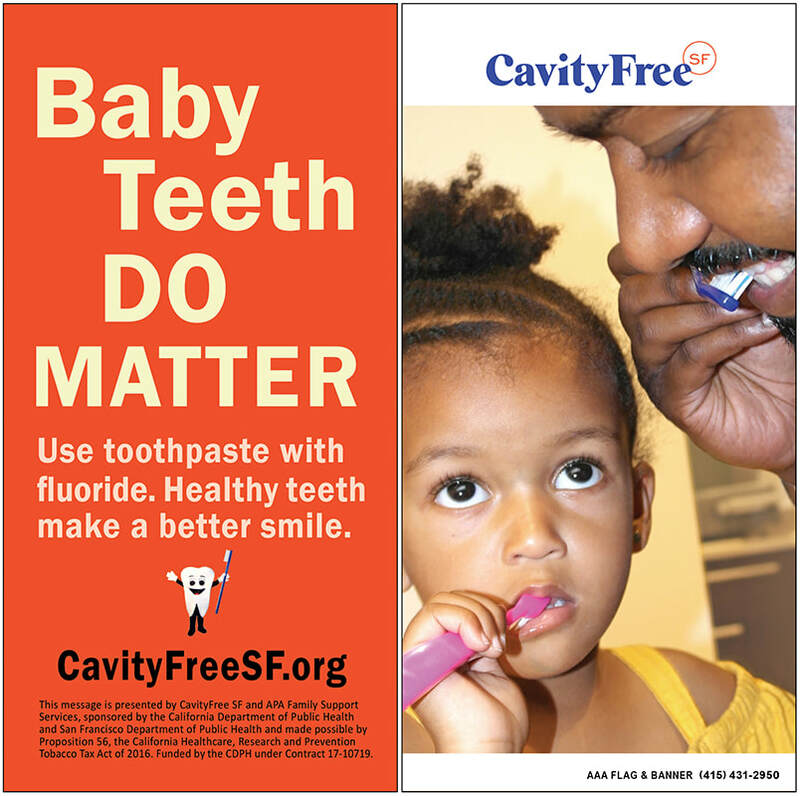 APA is a facilitator for the CavityFree SF District 10 Children's Oral Health Task Force. 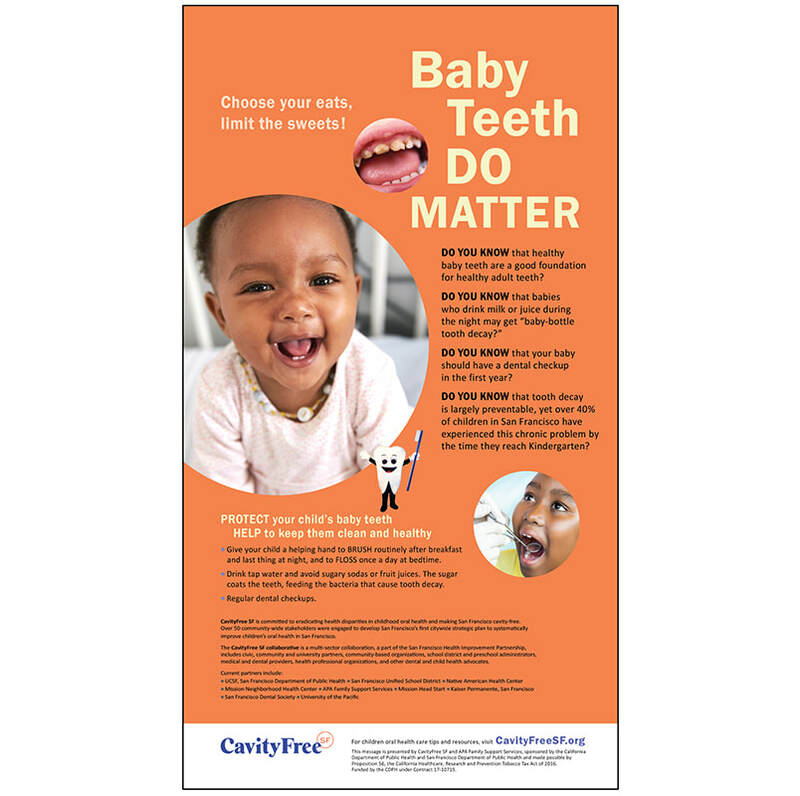 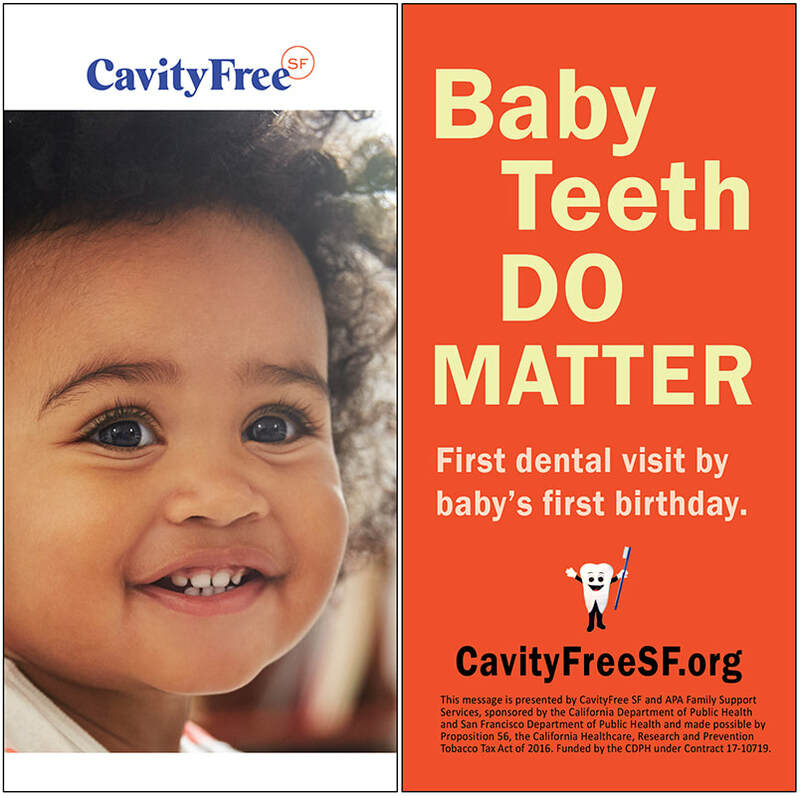 On February 1, we kicked off our "Baby Teeth Do Matter" in San Francisco's District 10 neighborhoods that includes light pole display banners, a full page newspaper ad in SF Bay View, radio spots on iHeartRadio, posters and flyers for community organizations and businesses, and outreach events that feature our tooth mascot. 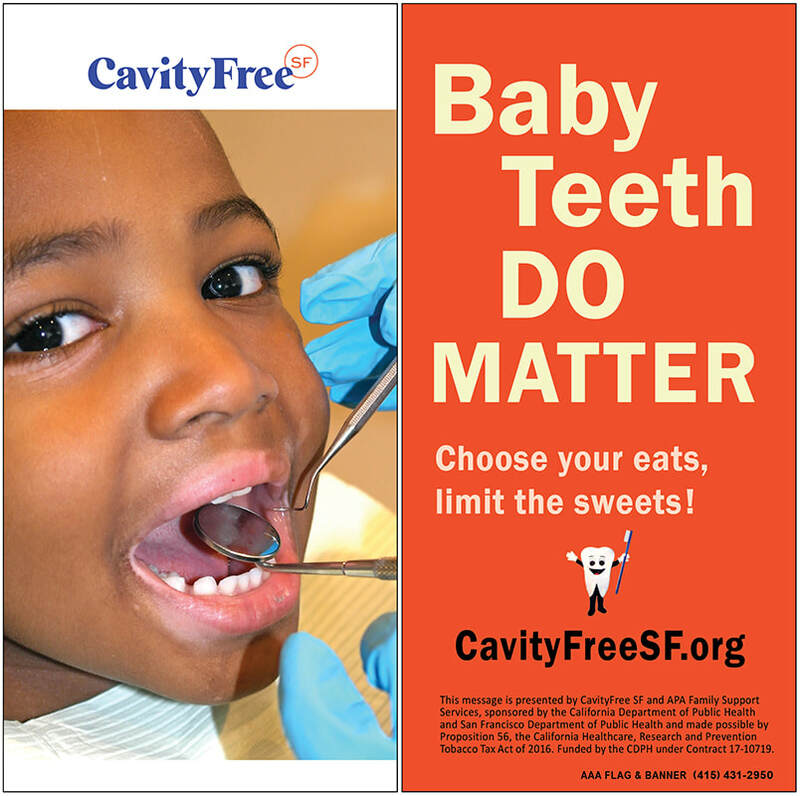 CavityFree SF is a city-wide collaborative of providers, schools, nonprofits and health systems with a focus on addressing the tooth decay health disparity faced by San Francisco youth ages 0-5. 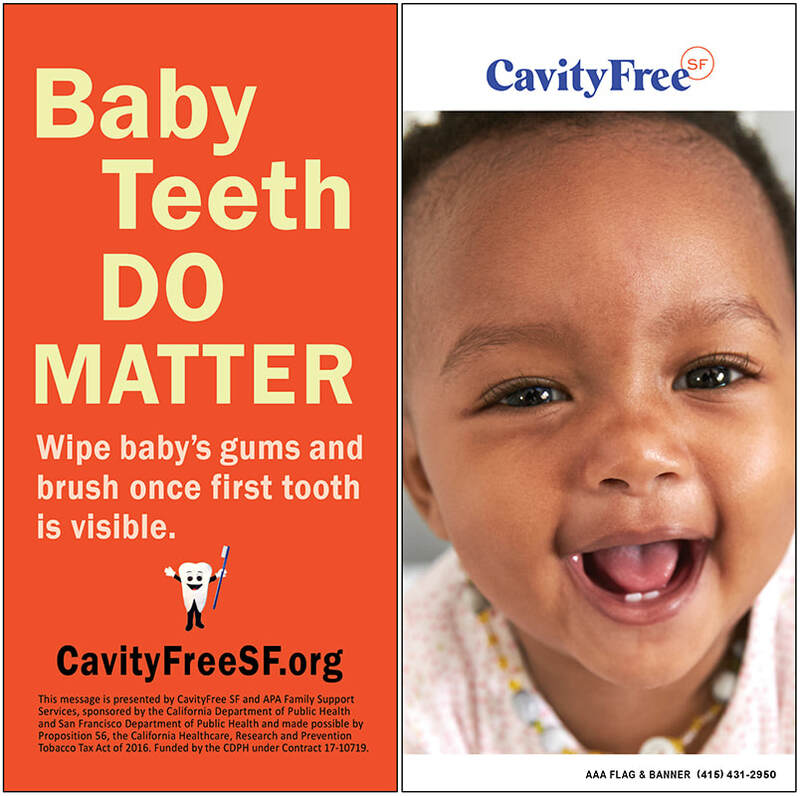 The Task Force is co-chaired by Linda Mack-Burch MPH, Bayview Senior Services; Bishop Ishmael Burch, St. Andrew Missionary Baptist Church; and Mariah Rice RDA, Marin City Health and Wellness Center. 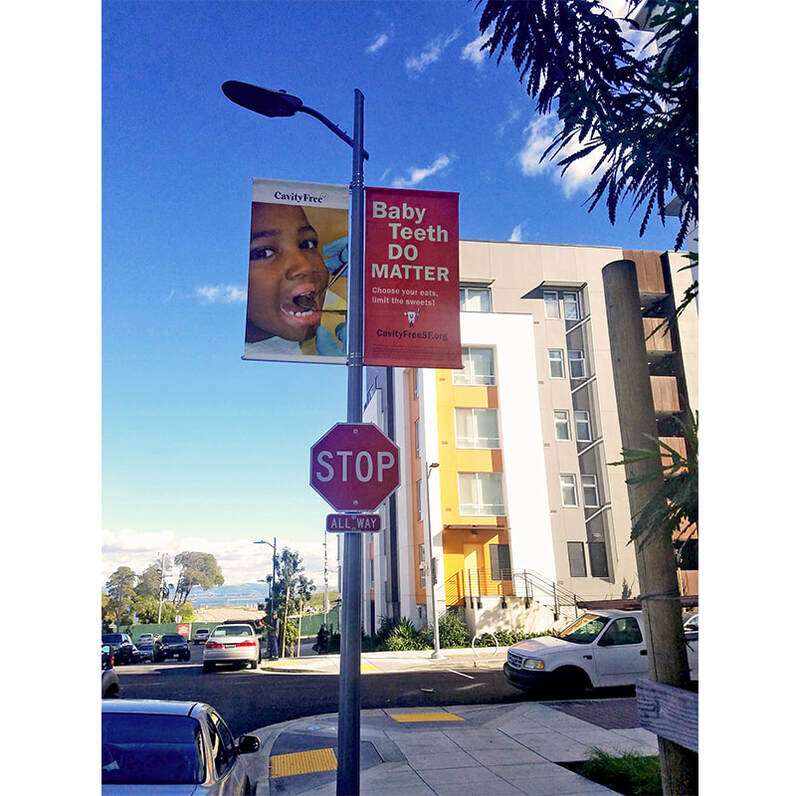 Task Force members are: Monte Hardy, Bayview YMCA; Carlos Minaya MPH, Mission Neighborhood Health Center; Elaine Musselman RN, MSN/Ed, CNE. 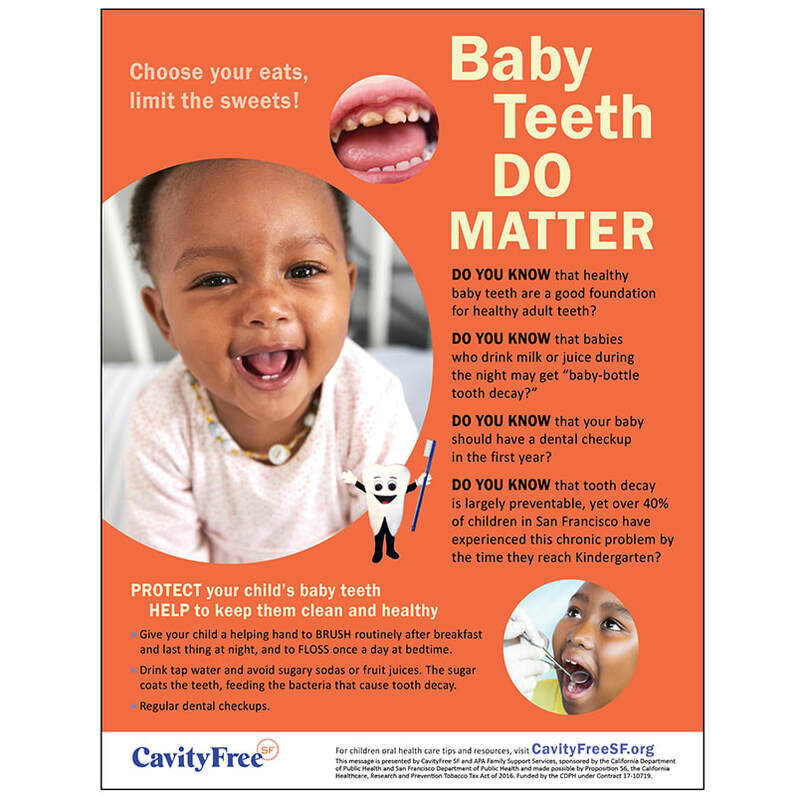 Other representatives are: Karen Pierce, Christine Nip, San Francisco Department of Public Health; Sepideh Banava DDS, MBA, MPH, SFDPH/UCSF; and Ana Soria, RDA, Medi-Cal Dental Program. 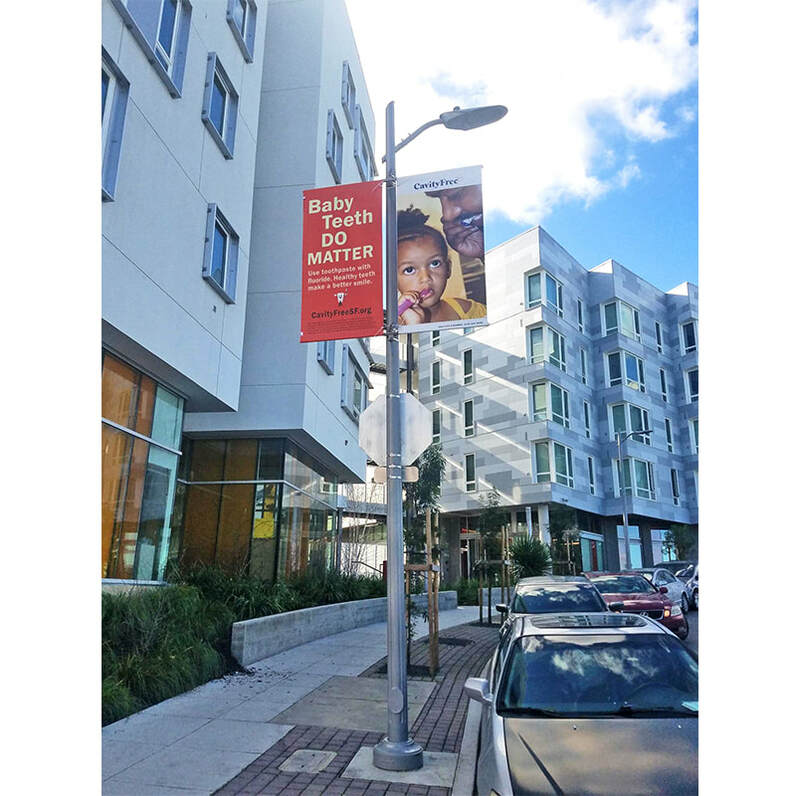 The light pole display banners are installed in the HOPE SF housing sites in Sunnydale, Potrero, Alice Griffith, and Hunters View. 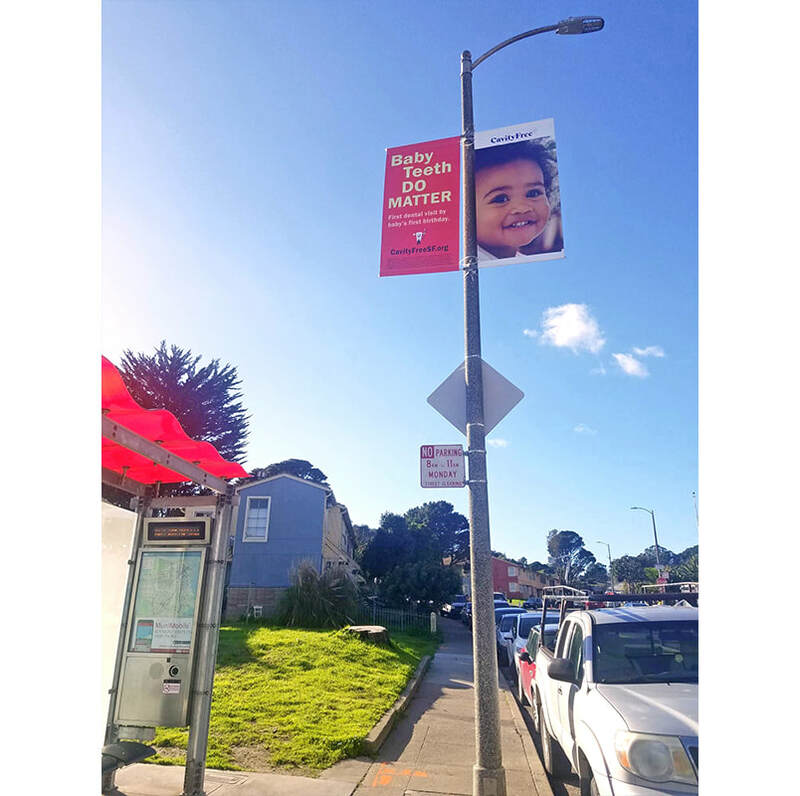 These banners are in installed on light poles near the Arleta light rail platform in Visitacion Valley, and near the Carroll Avenue light rail station on Third Street, in the Bayview area. 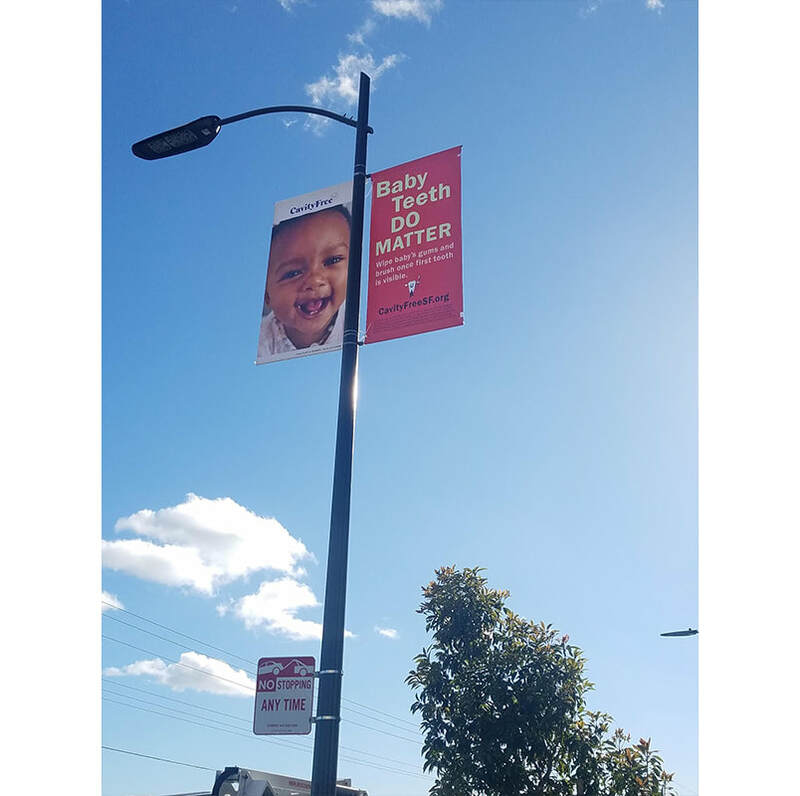 The banners will be up till mid-July 2019.